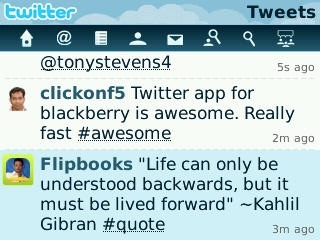 Few days ago, we talked about the Twitter for BlackBerry App which was expected to release soon. 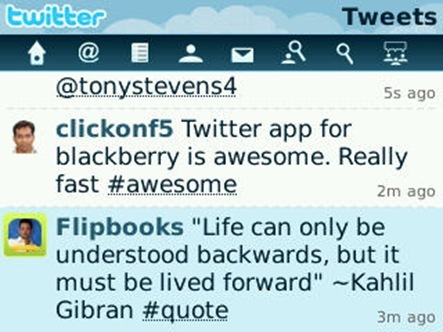 Today RIM officially has released Twitter for BlackBerry App in the BlackBerry App World. After the initial preview, developers has added few more options like support for lists, notifications for new tweets etc. I installed this application on my BlackBerry and working on the same. This is much lighter than Uber Twitter application which is the most used application for Twitter on BlackBerry but now people will move to this official application. Look and style wise the app is similar to the Facebook Application for BlackBerry.